Spring was particularly rainy in Alsace. As a result, the mildew pressure was high and the flowering conditions bad. The bunches are loose with a lot of small berries, expectation of low yields. Luckily, the weather turned much better in the beginning of August, the north wind dried the vegetation avoiding Botrytis development, and the vintage is looking more promising even though there’s little wine. Alcohol & acidity levels are excellent. The Rieslings look really great. Similar to 2010 if not as intense or structured. 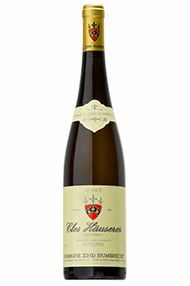 No introduction required for one of the icons of Alsace – this seduces with a hauntingly subtle chalk and ginger on the nose, notes which give way to more obvious apple and lemon, a hint at a mineral quality through wet stone and slate. When one refers to a wine as being alive, this is what they’re talking about – the 2012 Clos Sainte Hune has incredible verve, but approach with caution: it’s still a bit juvenile. Wonderful saline grip and beautiful freshness in a brilliantly balanced wine which promises much. Delicate flavours of ginger, jasmine, peach and a steely lime finish – the components of this wine will evolve wonderfully – hold fire for a few years and drink until 2030+. Meanwhile their brands of (Riesling) Cuvee Frederic Emile, (Pinot Gris) Reserve Personnelle & (Gewurztraminer) Cuvee des Seigneurs de Ribeaupierre remain central to the range, made from both own fruit & bought in fruit; they remain a clear step up in terroir finesse from the fruitier ‘Reserve’ lines. Clos Ste. 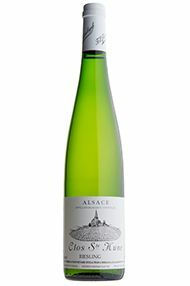 Hune is estate’s finest Riesling, from a 1.67ha ‘clos’ within Grand Cru Rosacker; the provenance readily communicated but still absent from the label. So as winemaker Pierre Trimbach signs off his 34th vintage in charge, this is still very much an estate to watch. These wines are considered the benchmark for quality, consistency and style. 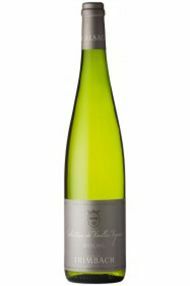 Remarkable value can be found in Trimbach's Vielles Vignes bottling, this is textbook dry Riesling. The nose offers intense citric fruit with hints of riper white stone fruit, very clean and fresh. Impressively textured on the palate, there is more flesh and concentration and flesh on show here than I expected. Lime fruit and mineral hints, beautifully balanced with saline notes. Deliciously dry on the finish, inviting you in for more. Famously controversial for opting out of the Grand Cru classification back in 1975 on account of the overly generous yields & low sugar levels (low quality) required, in the past five years the negociant has added 15 hectares of prime Grand Cru sites, notably in Osterberg, Geisberg, & Schlossberg, bringing their total to 45ha. So the family are clearly not closing the door on the possibility of releasing single Grand Cru vineyard wines, albeit in tiny quantities. However they lament the fact that France’s supermarkets continue to buy up 75% of the region’s production, selling Grand Cru wines at around €7/bottle on the shelf. Such a refreshing wine and so easy-drinking too. Pale violet/red/blush in colour, the nose delights with lifted, raspberry ripple and joyful summer fruit aromas. Pierre Gassmann has made this early-drinking Pinot with great sensibility, using fruit from Rorschwihr's marne and limestone soils, aged in large 45/50 hl barrels to gently refine it. Light bodied, perfectly pitched at 13% abv, it's such a juicy, supple wine, with no tannins to speak of. A basket of sweet summer fruit in a glass! Crystal-clear and effortless, it finishes dry with classic Pinot sapidity and scented violet aromas. Delicious with a cold salmon starter. 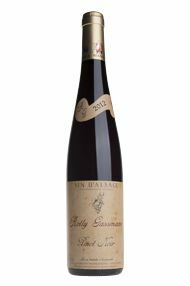 Rolly Gassmann is becoming a name for sumptuous Pinot Noir! Very mineral – the scent of wet river stones. Fabulously austere, it is easy to see through the iodine and tight nose how classic this wine will be. In the mouth it is delicate with no excess weight, but everything on the palate shows vibrancy and energy.